Hi, Aileen! Thank you so much for stopping by Brooke Blogs today to chat. 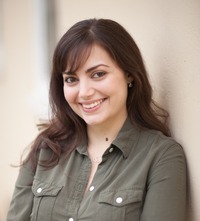 I am thrilled to have you here to answer my Fast Five Interview Questions. 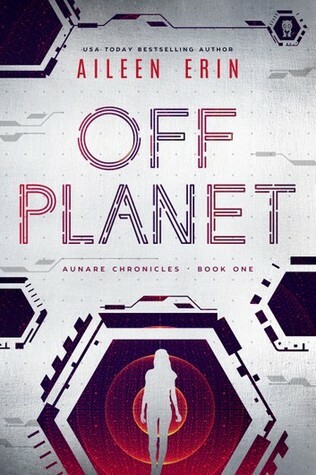 Congratulations on your newest release, Off Planet! 1) What does a typical day look like for you? Do you write every day? a) I’m amazingly lucky that writing is my full-time job. There is no real typical day because I have a toddler… I feel like every day is different, but as my little one has gotten older, I’ve started to find my routine again. (Isabella’s about to turn three, and just starting to go to pre-school.) MWF, after I drop her off for her little bit of school, I work on marketing and the business side of being an author. Then, I break to go get Isabella from school. Thursdays are my long day. My nanny comes early in the morning, and I get my longest chunk of time to either work or do marketing, depending on what’s going on that month. Every day (except maybe Thursdays), my nanny comes for the afternoons, and I get to write from 12PM-6:30. All of that goes out the window if my kiddo is sick or something comes up, because life happens. But that’s the routine that I try to make my norm. Sometimes I’ll write for a bit on the weekend when I’m coming up against a deadline, but I try to keep my weekends as family time as much as possible. 2) If you could spend time with one of your characters, who would you choose and what would you do together? a) I think I’d love to take a martial arts class from Maité. I haven’t taken one since I was in 7th grade, and I think it’d be fun get into it again. I just get a little intimidated about taking a big class with other adults. (I’m the double combo: shy + introvert.) But I feel like Maité would make it really fun. 3) What do you like to do when you’re not writing? a) Read. I know that’s a total cliché coming from an author, but I have about 3K books in my Kindle library. I used to read at least a book a day, but that’s slowed to about 3-4 books every week since having Isabella. When I’m not working, I can usually be spotted reading on my Kindle or via the app on my phone. My husband frequently yells at me: Hey, Kindleface! Put the book away! – Because I literally read every spare minute I have, even if I’m just waiting in line to check out at the grocery store. 4) What type of research did you do for Off Planet? a) A lot of my inspiration for Off Planet came from looking down the line of current events and technology. I researched what people were doing with implanted tech these days, and tried to imagine where that was the norm. Also, travel: what would that be like and what would we need to really travel from here to another planet? Abaddon is a volcano planet, and Maité has a bit of trouble while she’s there. So, I looked into at what temperature the atmosphere would have to be too cook a person, to burn lungs and skin, and how hot lava really is—really f*ing hot. I also used a bit of my linguistics knowledge when referring to the Aunare and how they speak. I had to dig out an old book from college to make sure I didn’t mess it up! 😉 I also got super into the study of healing tones and solfeggio frequencies. The Aunare are pretty spiritual, and I wanted to incorporate things like that into their culture. There are a ton more things I researched, but only a small portion of it actually makes it onto the page. But I find that by being informed, then what is on the page becomes richer, even if the actual facts aren’t there. a) I just started reading Navigating the Stars by Maria V Snyder. I was a big fan of hers before she became my mentor during my MFA. I really love all of her books, especially the Study series. I’m super excited to dig into her newest novel. Thank you again for visiting Brooke Blogs! I know my readers will enjoy reading your answers as much as I will.